I became the very air; I was full of stars. I was the soaring spaces between the spires of the cathedral, the solemn breath of chimneys, a whispered prayer upon the winter wind. I was silence, and I was music, one clear transcendent chord rising toward Heaven. I believed, then, that I would have risen bodily into the sky but for the anchor of his hand in my hair and his round soft perfect mouth. Seraphina is a young musician who lives wedged between two races who are in an uneasy alliance that could be destroyed at any moment. On one side there is the race of dragons – cold analytical beings that prior to the alliance saw humans the same way humans see ants, something to spare less than a passing glance. Then there are humans who fear and hate dragons wishing they would disappear completely their disgust and loathing of these creatures is so high. Her mother a dragon managed to break free of the standard unemotional detachment her race naturally has and fall in love with a human giving life to a baby. This child is Seraphina, a new hybrid – part human, part dragon and she guards this secret with her life for fear of violent persecution should she be discovered. What really impressed upon me the most was the undercurrent of fear that ran through the whole novel. Seraphina herself feels such fear about being found out and this is really driven home countless times over in small encounters with the general public and with her inner monologue. For all this fear, Seraphina is a wonderful character who would be enjoyed by a wide audience – she most definitely is not written to please a female market. Aside from one moment where she stupidly follows someone to a deserted place, she at no other point did anything that made me want to strangle her or roll my eyes in disbelief which was very refreshing. The secondary characters were also well done really propping up the personality of Seraphina as well as coming into their own. Kiggs was a nice male lead though romance is very much on the backburner in this book and I’m very interested to see how things play out there. Seraphina’s uncle Orma was just a beautifully complicated character. A dragon who has feelings and is constantly struggling to reconcile these two sides of his personality he is simply wonderful to read about and I loved the interaction and clear devotion held between himself and Seraphina. The other interesting and very unique characters were Seraphina’s garden of Grotesques who all had their own distinct personality which comes to light as the novel progresses. While this book appears to tick all the right boxes unfortunately I had to mark it down for a couple of things. While I loved the world and the characters I really didn’t feel that I could connect with this novel completely, it just seemed a bit too distant and there wasn’t enough that made me feel that I could understand what the character was going through. I also felt that this book wasn’t paced as well as it could have been. The beginning was slow going and at times felt a bit too complicated with not enough reward. I’m very glad I persevered however as I did think this was a superb novel and the ending was fantastic. I have read quite a few stunning Young Adult fantasy novels this year and Seraphina is definitely another one to add to the recommend list. 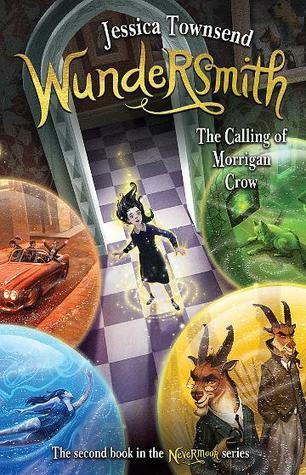 I’m really looking forward to book 2 as I’m sure that Hartman will have worked out the pacing on her sophomore novel and I can’t wait to see what happens next!